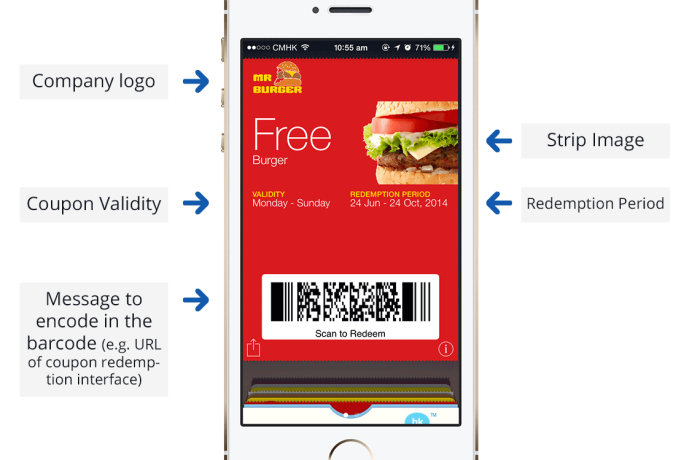 Mobile coupons allow you to instantly send promotional coupons straight to your audience's phone. Physical coupons are time consuming to distribute and have poor redemption rates. Physical coupons are discarded and often forgotten about. Distribution methods - posters in public areas with QR codes, emails, online ads, and social media. Managing data - track coupon redemption and user behaviour. Click on 'Add' to add the digital coupon to your mobile wallet.